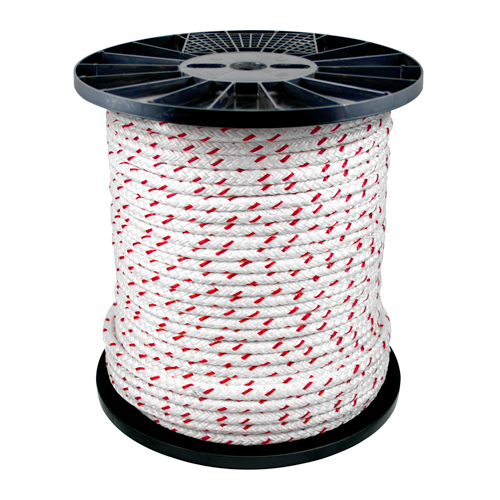 PolyPlus Braid is an affordable 12-strand single braid rope constructed of high tenacity polyester plied over "Para-ep" polyolefin in each individual strand. 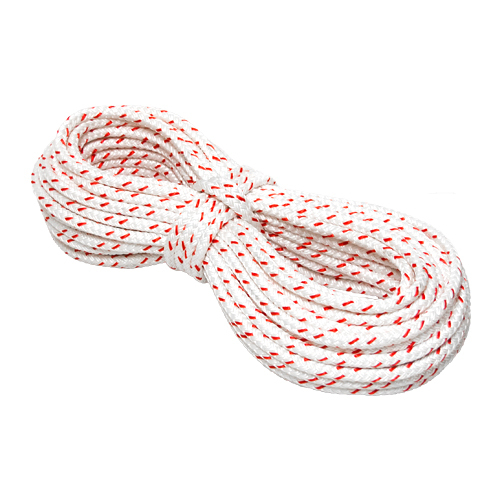 A unique plying technique as well as a generous proportion of polyester to olefin is coupled with Yale's exclusive Aralube treatment which optimizes the ropes abrasion resistance. The "Para-ep" provides body to the rope and enhances its handling characteristics while keeping the rope's weight to a minimum. The two end per carrier structure makes the rope a snap to splice, and it is entirely torque balanced. 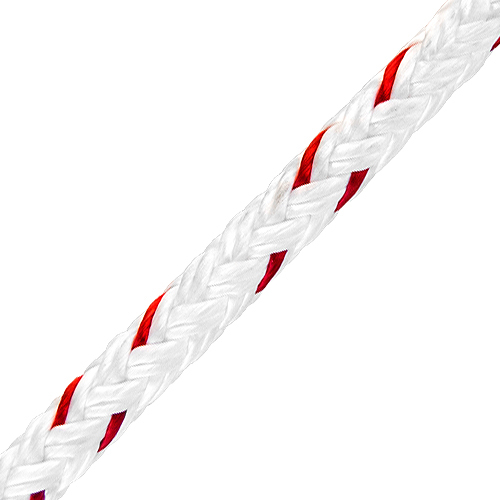 PolyPlus Braid is the strongest single braid polyester/polyolefin blended rope available and is always manufactured with dual red strands. It is a favorite for our utility and municipal customers because its ease of splice, strength, and non-rotational features lend it to use as a superior hand or block line.